Manufacturer & Exporter of Insulated Wire and Cable. Our product range also comprises of PTFE Hook Up Wires, PTFE Cables and Thermocouple Wire. Note: Only starting prices of products are available in catalog else prices vary as per buyer requirement. Banking on the individual requirements of the clients, we offer world-class array of Cable PTFE Insulated. Our entire product range is performance based and is abrasion resistant. With the assistance of experienced professionals, we are able to deliver quality tested product line. 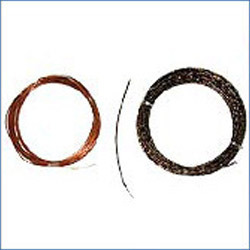 Insulated Wire & Cable are thermostatically balanced.